Back to Basics – Why Use WebSite Analytics? In a lot of our postings, we assume the basic premise that you are committed to gleaning the maximum amount of information from your website. Many of the people our sales team speak with, however, don’t even understand the impact Analytics can have on your business. I thought this would be a good time to take a step back and remember why we are doing this! Imagine getting in your car without a map, with not only a place to be, but also a time you need to be there. Unless you have a homing-pigeon-like ability then you really have little chance of getting to where you want to go, much less being there in a specific timeframe. You may have an amazing car (website) and a fabulous driving ability (service/product), but you need to navigate to where you want to be (with your services/products being purchased by customers). 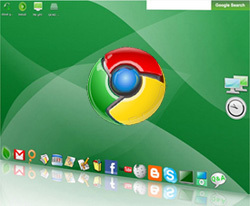 Similarly every website has a purpose, it is a tool which should be leveraged to bring you revenue. Analytics provides the map of how to achieve this. Without this you simply leave your online success up to fate. So how do you create success with analytics? The digital media age has brought the benefit of everything you do online being measureable. With a relatively simple addition to website code it is possible to monitor not only how a visitor finds a site but also how they interact with it once they are on it. This is more than just understanding pages visited and how long someone spent browsing…. this is about real performance data. Lets have a look at some examples of data that provides real benefit to website owners. Content reporting will tell you how many people have left your website after visiting a single page (this is called a bounce). Pages with higher bounce rates indicate poorly engaged visitors and present and opportunity for improving visitor experience. Goal Measurement will tell you how many times your site goals have been met. A goal could be a contact, download of some product information or sale of an item. Measuring conversion of goals is mandatory in today’s internet marketing world to determine how effective advertising budgets are being for you. It is extremely difficult to measure conversion in the offline world and successful online businesses have recognized this and leverage it for their benefit. Source Reporting (measured alongside goal performance) will tell you which online advertising campaigns are working for you. Then you can adjust where you spend your money to provide the most effective return. Analytics packages provide this data. It takes a trained eye to interpret the data that an analytics package will provide. Getting lost in the detail is easy. The key to making decisions is having an unbiased approach and expertise in understanding how people interact with the internet and more specifically your pages. Website owners have two choices here: 1) learn how to interpret data yourself or 2) go to a Google Authorized Analytics Consultant (GAAC) and use their services. As a GAAC, in our opinion there is poor cost benefit in taking the time to learn the nuances of analyzing websites… our advice is to use an expert and get on with making the decisions that affect your bottom line. The experiences that many GAAC’s have can be transferred into your own company very quickly and efficiently, saving you years time on the bell curve. Your analytics expert should be presenting data in the right format that highlight the relevant areas to improve. This should be in usability, content and ad campaign focus. You, as a business owner need to make these decisions and provide guidance in the analysis process based on your business model. The whole purpose of this exercise is to make changes that benefit your business and keep you on a roadmap of improvement. It is not only creating the “map for success” but following it and adjusting as your online presence grows. I started of designing and writing my Web Page initially, because I wanted to learn HTML so it was sort of a fun practice ground where I could try out different coding techniques. As I added more content it evolved into a kind of self-statement, and I started to care about it. I felt it was a way of letting the world know who I am – call it an ego trip if you like. Another reason I made this web page was really to see if I could do it. So the first 1-2 years I fooled around a bit, with different designs and layouts. But down the line I realized that I was missing something essential. Quite true. With free services on offer like Google Analytics, there is no longer an excuse to neglect monitoring our site activity. Without performance metrics we are shooting in the dark. 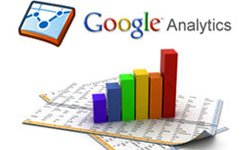 Google Analytic is powerful and a user-friendly website that is used to monitor a site visitor’s behavior. By measuring the effectiveness of your search engine optimization efforts every month, you can make informed decisions and improve the siteâ€™s performance. Great post Jon. I have a saying “The numbers cannot lie”. Many times we assume how a visitor will react to a site but reviewing the page visits, bounce rates and key word conversions will help us make professionl strategic decisions for site improvements. I am rather surprised by the reluctance on the part of webmasters to use Google Analytics in measuring the performance of their websites and calculating the return on investment(ROI. Google Analytics, to be sure, is an excellent tool that web masters ignore at their own peril. It’s really an elaborate write up on the need to use and incorporate Google Analytics tool as a part of ones’ online business strategy. Nice post! 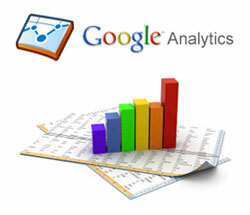 knowing your web analytic will help you out in planning your methods and other strategies in the future. Web analytic information could be used to improve your SEM strategies, keyword selection, site architecture and design. 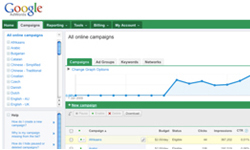 Web analytic is the best way of improving your return on investment (ROI)!